Free-of-charge contactless business debit card together with a plan of everyday services. Convenient solutions and conditions for the transfer of wages. The project “Everyone Can be Big” aimed at strengthening small-sized business. “ERPLY Books” - a system of electronic accounting integrated into the Internet Bank for corporate customers. * The offer is valid for new companies the period of registration of which in the Register of Legal Entities is shorter than 12 months. Half of your future clients or partners already hold an account in Swedbank*. Therefore, you will be able to manage payments in a faster, easier and cheaper manner. *According to data about “Swedbank” cards’ holders. You will be able to conveniently manage everyday finances of your company in the Internet Bank and our Bank application for corporate customers. We are offering a whole range of services, products and initiatives intended for a developing business. Our aim is to offer possibilities, tools and useful advice for your business to grow and strengthen. If you have a Private account in Swedbank and manage a company acting under the right of sole representation and you use “Smart-ID”, mobile signature or electronic signature for login to the Internet Bank, you can apply for opening a company’s account in the Internet Bank. Within 2 hour, you can receive the answer regarding opening of the account remotely, if you apply during working days between 8-15. Otherwise, you will receive the answer on the working day following the day of submission. Once the application has been reviewed and accepted, you will have to login to the Internet Bank and accomplish the process of the bank account opening. Who can open account remotely in “Swedbank”? The company must be registered in Lithuania. The company does not have and has never had an account (including an accumulative account) in Swedbank. When completing the application, you will have to submit the access key to the electronic certified company registry extract. 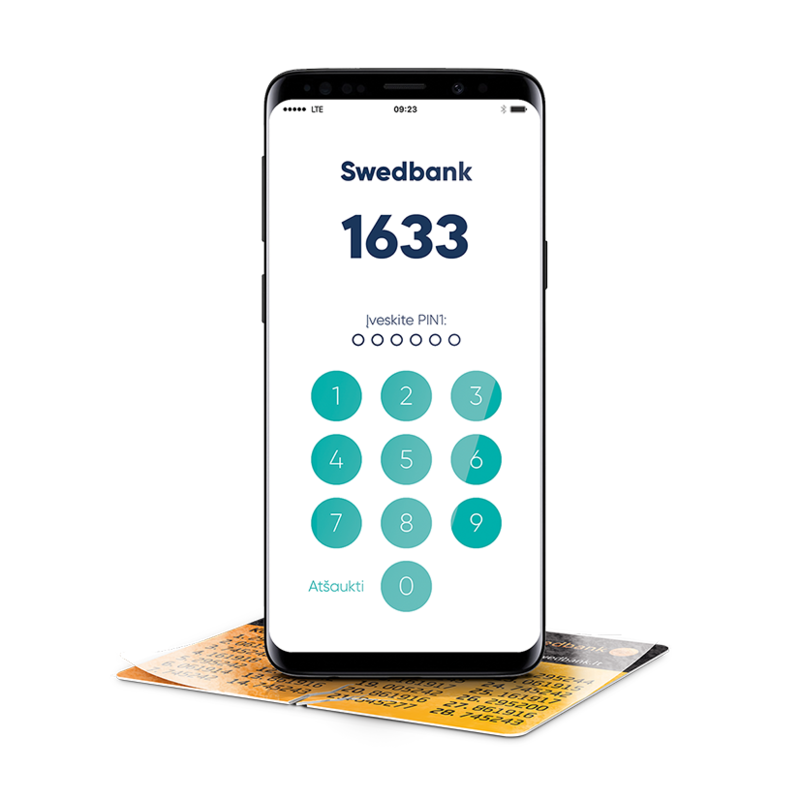 If you do not have a valid access key, you will have to submit the company’s registry extract endorsed with the seal of the Centre of Registers to a branch of Swedbank. You can open an account in any customer services branch of the Bank. Book an appointment by calling 1633. The procedure and documents necessary to open a bank account for non-residents. The procedure and documents required to open starting bank account. The procedure and documents required to open a deposit bank account. You can open an additional bank account in the Internet Bank, if you manage a company acting under the right of sole representation. An account of a company group, where the accounts of all members of the group can be seen. A mechanism of internal borrowing is created. The group account offers a possibility of assigning the available funds to a member of the group in most need of the funds. Lower need for external borrowing. Companies can use each other’s funds within the limits of internal borrowing set for them. Decreasing interest on loans. A group of companies requires a lower credit limit than each company individually. Increasing interest for the account balance. Swedbank, AB offers more favourable conditions for bigger amounts held on one account. For large amounts of funds, the parent company can conclude a one-night deposit agreement and automatically transfer all the funds on the accounts of the group of companies to this account. More efficient control of management of the group’s funds. The parent company can set internal borrowing limits for borrowing between the group members, the interest for the use of the internal limits and the interest for a positive account balance. All statements of the company group accounts can be obtained via electronic channels, and only the parent company has access to them. The account statement of the company group indicates the movement of funds of the company group collectively and of each company of the group individually within a set period of time. Account balance statement indicates the consolidated average and long-term account balances of members of the company group within a certain period of time. The statement of the account interest indicates positive and negative internal interest rates and interest set by the group members and calculated and/or payable within a set period of time. Turnover statement of the company group indicates the turnover of the funds of the group members, the balance at the beginning and the end of the period is indicated according to the movement and balances of the funds on the group account or on the accounts of its members. The statement can be submitted in the requested from, i.e. according to the systematised accounts of the group members (for example, income account, expenses account, salaries account, etc.). How to open a company group account? If you are interested in the company group account services, contact your corporate customer manager in the bank. Account opening is free of charge for companies registered in Lithuania. After account opening you can choose service plan to your business needs. Learn more about other services fees here. All deposits up to EUR 100 000 or of equivalent amount held in a foreign currency are insured by the State Enterprise Deposit and Investment Insurance under the terms and conditions set forth in the Republic of Lithuania Law on Insurance of Deposits and Liabilities to Investors. Read more. Detailed information on the terms and conditions of deposit insurance and cases when deposits are not insured and when limits on payment of insurance benefits are applied to deposits is provided on the website of the State Enterprise Deposit and Investment Insurance at www.iidraudimas.lt.